DP's from MME, cardstock, diecuts, buttons and twine from PTI, paper flower from Prima, misc. 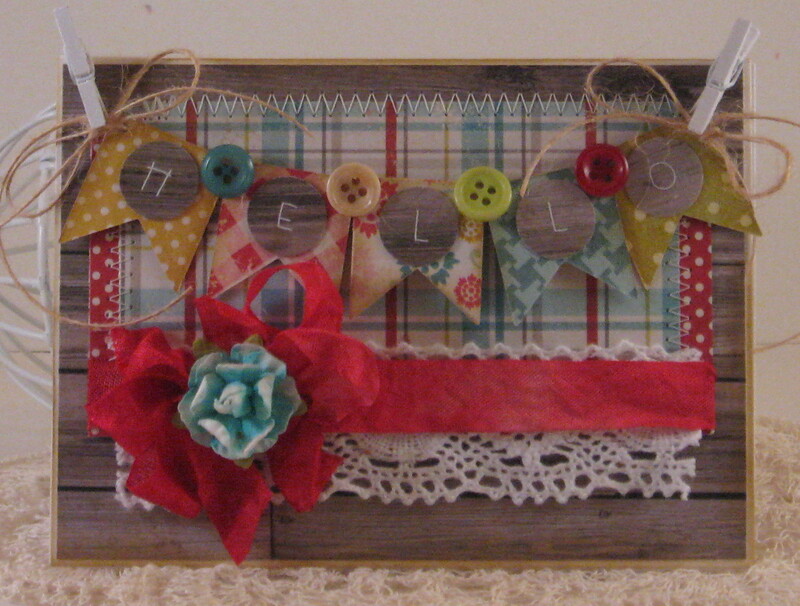 crocheted trim, seam binding ribbon and clothespins. I love your take in the sketch - it's so cheery and colourful! Love your card! The banner is great! This is SO pretty! Love the color combo! 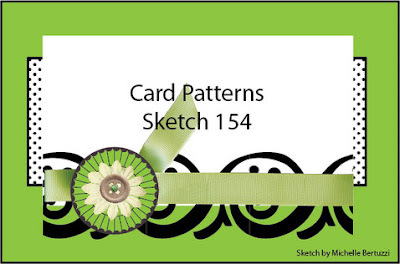 Thanks for joining us at Card Patterns this week Cathy! OMG Cathy that banner....wow! I missed this post and I apologise..I hope all is well with you and your family. Hopefully you will be posting another handmade beauty soon. It's always lovely to be here!